As the clouds begin to settle on Mt. Timbak’s lush farmland, we finally embarked on our tour around Atok. Atok currently offers three tourist spots as the Northern Blossom Flower Farm is temporarily closed due to replanting season. Besides, the area has only opened up to tourism early this year and tourism authorities are still discovering new sites that can be visited. Actually, the Highest Point is not a mountain, but it is the highest point of the Philippine highway system. Google says it sits at 2,255 metres or 7,400 feet above sea level (no wonder the road from Baguio was elevating at every turn). A view deck has been established to view Mt. Timbak before we can finally say goodbye…unless, the clouds try to intervene. The best views could be captured early in the morning. The grotto was born after a mysterious, celestial light was found pointing upon this humble rock formation surrounded by cabbage and sunflower farms. This place has become the pilgrimage site for the faithful of Atok since then. Every visitor is invited to climb atop the grotto and stand in awe before God’s creation. Just be careful in descending the rock. This place is also surrounded by other interesting rock formation like Mt. Cotnon, which they say is a gravesite for an old hermit who lived on this mountain. Plants, especially cacti, make the place even more beautiful. This site is quite new. The white and pink cherry blossom trees have been planted by a group of Japanese people two years ago, but they’re expected to bloom later. A sneak peak would not be bad, though. Besides, we predicted that tourism in Atok will boom once the sakura fully blossom. I might find myself here again three years later. 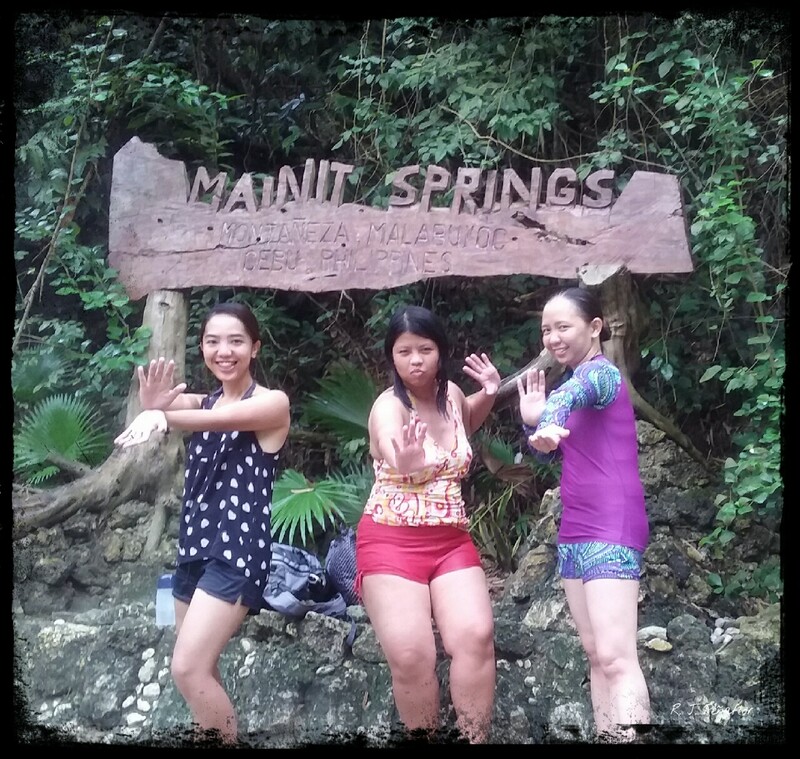 Why not a jump shot ’cause we’re excited for the sakura to bloom soon? The tour only lasted for two hours, but I honestly enjoyed it. I guess more sites will come up soon, so tour packages might become a bit more complex in a year or so. The tour guides were kind enough to bring us to the bus/van station going to Baguio where we’ll have another set of tour. The cold weather at Baguio was nothing compared to the freezing temperature at Atok in Benguet. Still, I was confident in my three-layered clothing as we arrive at Baguio’s Dangwa Station. The two-hour 74-peso ride to Atok was a thrill in itself. Atok is an almost untouched abode as the pine trees tower proudly along the meandering Halsema Highway, which goes higher and higher to one of the highest points in the Philippines. The blanket of clouds, the lush green mountains, the cold, fresh air and the ocassional whiff of chicken dung were signs we were already in Atok. The region’s climate is perfect for farming and agriculture. Patches of cabagges and lettuce could be seen lined up on the side of the mountains. Wild flowers are vibrantly growing in some of the farmland. We were enjoying the view while getting a bit dizzy in this rollercoaster ride. The bus was old and a bit rugged, but the aged driver has managed to smoothly pass the freaky sharp curves and winding lanes that could go on forever. We were instructed to register at Atok’s Municipal Hall in Sayangan before beginning any tour. My heart sank when we learned that the Northern Blossom Flower Farm was closed,* but the young tour guides have offered us two packages. We opted for the one with Mt. Timbak. 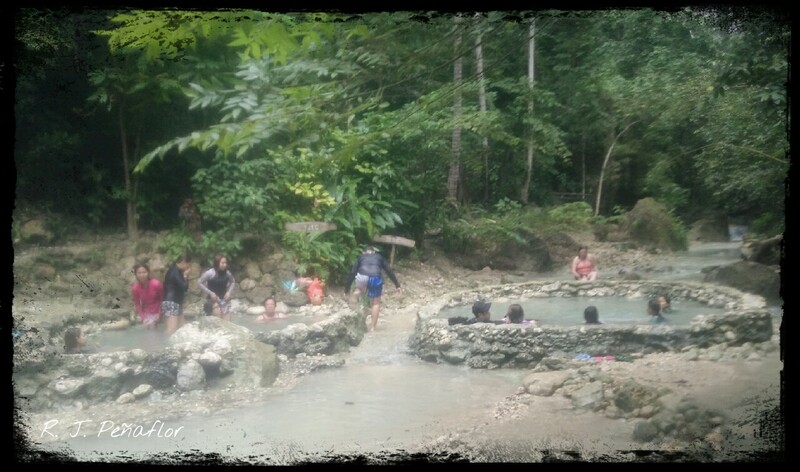 It costs about Php1,500 because it includes three other tourist spots and a van that would take us to these places. The price is meant for five people, but my friend and I were willing to take it at any cost. If taking that tour option, I suggest you should start with Mt. Timbak first. The travel time from the jump-off point to the top of the mountain could take about 15 to 20 minutes through car (or van in our case). Otherwise, it could be taken in an hour by foot (or two hours if you take loads of selfies). Ice, our tour guide, offered us to stay for a night at a transient house on the mountain before we continue with the rest of the tour on the next day. A night at a transient house costs only Php200. 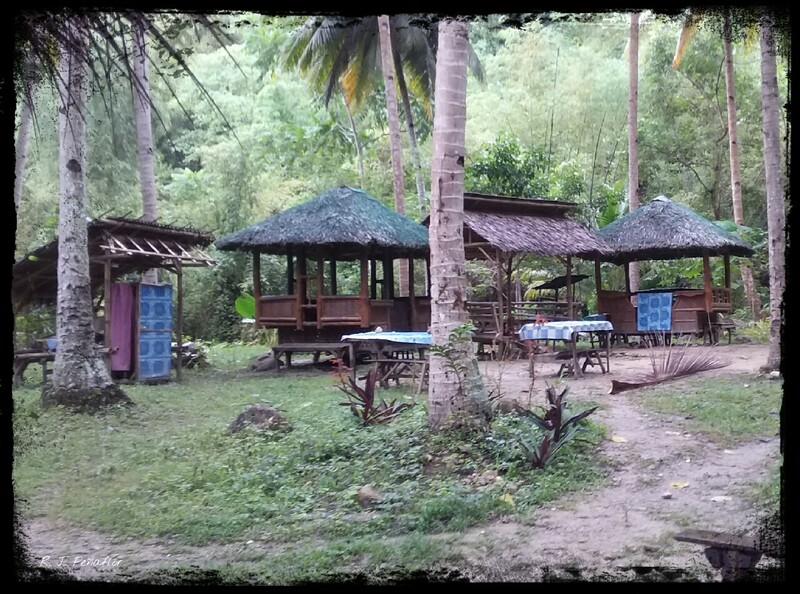 But if you are brave enough to brace the cold weather in a tent, one night in the mountain costs only Php100. Our host, Josie Camsol, told us that tourism plans at Atok has only started on February this year. She said her family is used to mountaineers dropping by their house. She admitted she does not want to charge her visitors, but representatives from the Tourism Department have instructed locals to do so. 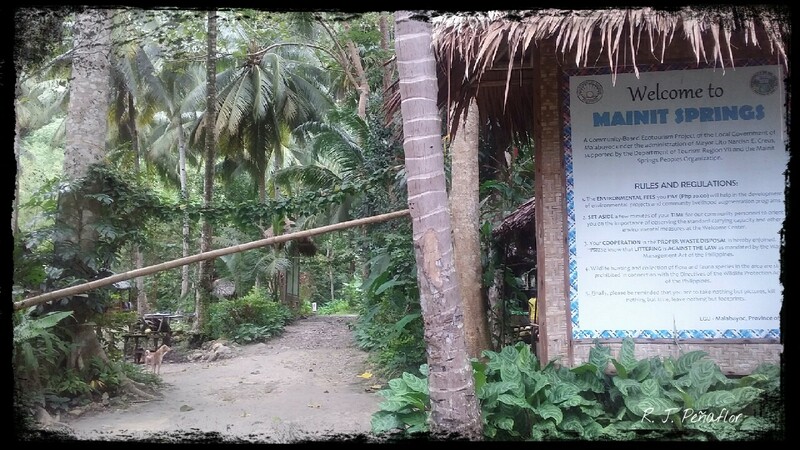 I believe these instructions are made to help Atok’s residents as tourism is a financially viable industry. White astromeria are quite common in Atok, as well as other beautiful flowers. Locals don’t advise you to eat these berries, but they say some are brave enough to try them and found out that they were edible…although not tasty. The afternoon became lazier as the clouds have completely covered the scenery. We tried to pitch a tent on the balcony, but we ended up spending the night inside the house. By the break of dawn, we trekked the summit to catch the sunrise. We were lucky because our host’s farm is located on the summit. I was amazed with the astromerias and the daisies that stood stoic in the cheery, cold wind. The cabbage heads, although not ripe for harvest, appeared sumptuous as they were covered with dew. They became more alive when the golden rays touched them. The sun was already stretching itself from sleep behind the nearby mountains. As the third highest peak in Luzon, Mt. Timbak offers a grand view of nearby towns like Kabayan. The sea of clouds could be seen on the nearby mountains. Mt. Pulag clearly hovered the others on the other side. Hello, pet, it’s been three years since I first fell in love with you. A station of the cross sits solemnly the other side of Mt. Timbak. One can pass there upon descending. Everything around the mountain is simply breathtaking and I cannot help but thank God for His wonderful creation. We thanked our host and her family for accomodating us before we embarked in the second leg of our tour. It was 8 am, but the clouds were starting to descend upon the mountains again, slowly covering the lush farmland. The heavens seem to have given us a sneak peak of Mt. Timbak’s beauty only for today. But the place is enveloped into their sanctuary again because they want to preserve this treasure for generations to come. From right: yours truly, Josie Camsol, her husband and my friend Tina. * As of this writing, the Northern Blossom Flower Farm will re-open on Sept. 25, 2018. It is currently closed due to the replanting season as the flowers were already harvested. Visiting eight destinations in one day may sound tiring but it’s worth the try. 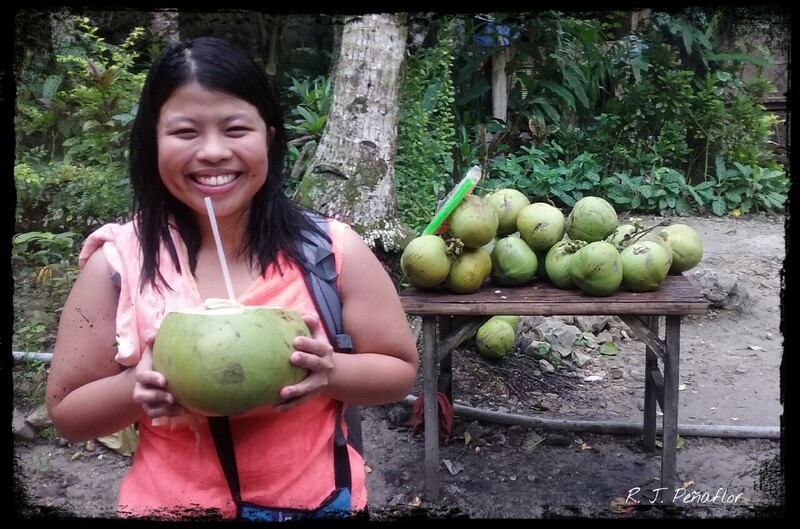 This travel tour on Facebook gave us the chance to take a day tour around three places in South Luzon: Batangas, Cavite, and Tagaytay. This sanctuary in Batangas was our first stop. This place is perfect for peace seekers, as well as for those who are camera-obsessed. It would be good to stay here to medidate but that would be impossible if only 40 minutes were given to roam around. These two are joined together as the 2nd and 3rd destinations in our bucket list. Like this picture below, many of the old Spanish houses in the town are well preserved. I would have loved to visit each one just to see what’s inside. …to enjoy a bowl of Batangas’ hot, steamy, special lomi. Lunch time, folks! Participants in this trip were given the chance to take a dip and relax in this resort in Batangas. 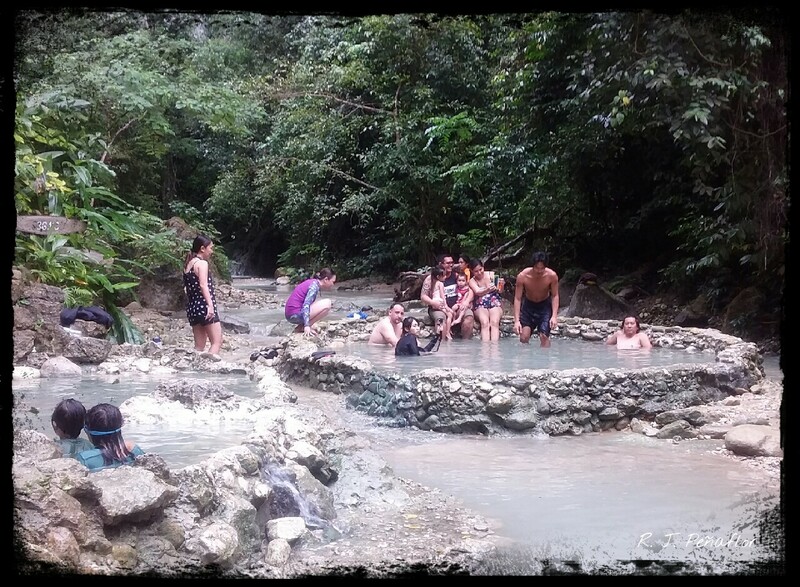 However, most of us were not in the mood to wade into the water, although we were given two hours to enjoy the moment. I guess we love to capture every moment in our lenses instead. …and, my, my! Be a queen for a day! What’s best in this place is to be in your best OOTD with your friends. Sadly, the theme park rides were all closed because of the rain and strong winds. If ever Hansel and Gretel would visit Cavite, I’m sure they would poke their noses in this place. Fortunately, there’s no wicked witch to fatten them up. Visiting here is like having an early Christmas because everything here reminded us of sweet, childhood days. The rain was a spoiler because it had caused a power outage around the place, making it quite a bit dreary. Still, it did not stop me from looking around the bakeshop that was peppered with everything cheery like this giant gingerbread man. A Christmas dining table and other Christmas decors. Make your wish upon this wishing well. The wish below is not mine, by the way. If there’s something I would wish for, I would wish for loads and loads of money to buy everything here. Instead, I had found out it’s free to fit in this gingerbread house. They also have a souvenir shop (especially for the ref magnet hunters like me). Any trip would not be complete without dinner at Tagaytay and any dinner in Tagaytay would not be complete without bulalo. It’s like a fitting salvo to the cold, drizzle that was pouring at that hour. The last destination was this huge theme park. I would have been excited if it were not for the rain. Besides, it was already quite late to get in. At least, we had the chance to see it…finally. Visiting eight places in a day is surprisingly possible. I just felt some of the visits were too short because we were given very limited time. I believe we could have had more time to roam around some of the places if the tour group was not late because of the early morning run. Still, I appreciate our tour guides because they were very accomodating and friendly. For a P1000 budget, the experience was not bad at all, especially when you’re with people you enjoy road tripping with. For the most part, I’ve been doing my Breathing Adventure series for out-of-Manila trips, particularly those that include hiking and outdoors. 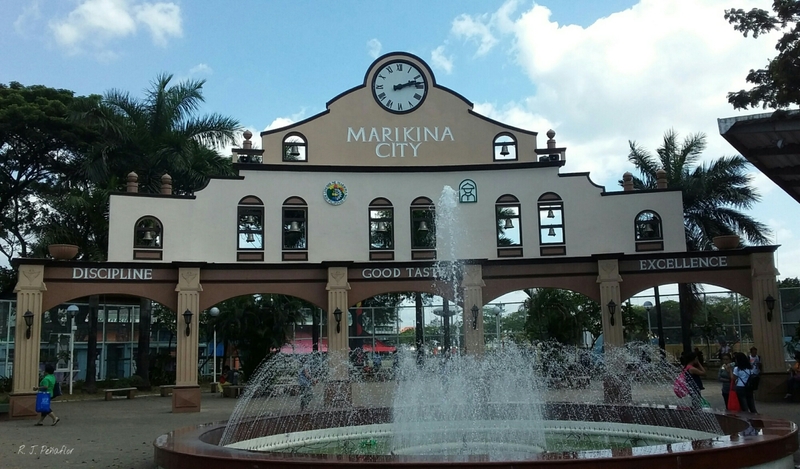 This is the first time I’ll be including the cityscape in my Breathing Adventure blog because Marikina is a place worth visiting within the metro. I had the impression there’s nothing special to see in Manila because it is jam-packed with skyscrapers, state-of-the-art malls, posh family entertainment centers, and monster traffic. I find Manila too exploited and polluted to be enjoyed. Eco-friendly spots like wildlife sanctuaries and parks are slowly deteriorating because the government seems to focus more on infrastructure and housing projects. Here’s one part of Manila which does not follow the footsteps of industrialization. 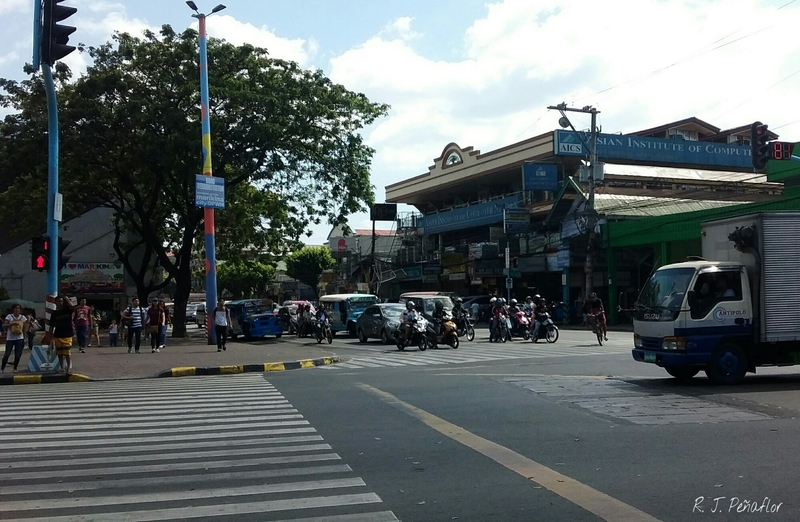 Marikina, which sits near the border of the Rizal province, has maintained its pristine quaintness and cleanliness. 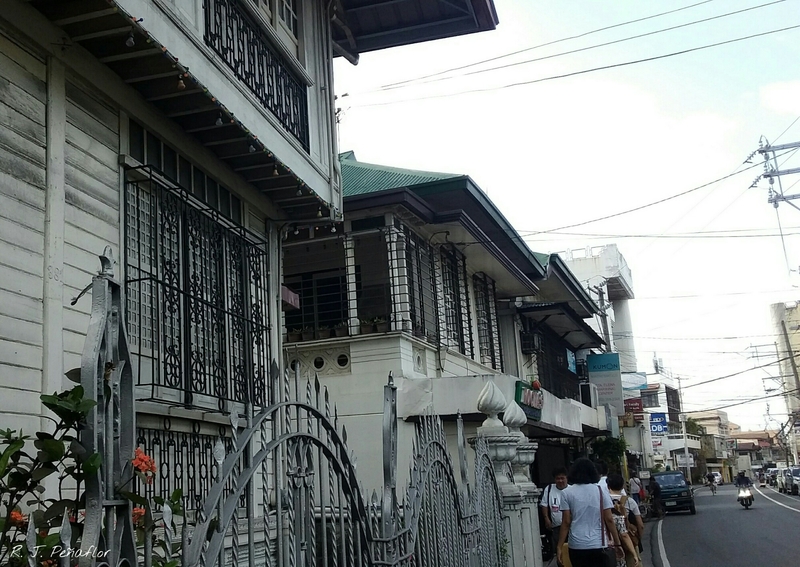 It keeps on flourishing in its quiet and productive way, as it maintains ordinances that keep toxicity out of the city. Touring Marikina is like visiting old Manila as old buildings and infrastructure line up the street. The bright blue sky could be seen in the central district because the council does not allow high rise buildings to be built. There’s strict enforcement against littering, so the only trash you would see in the city are fallen leaves. 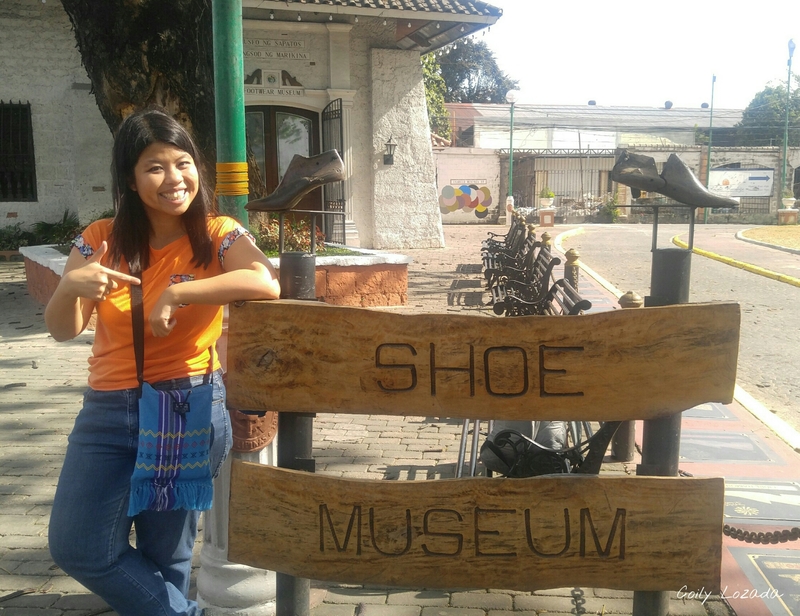 Shoe lovers should to visit Marikina because it is the Shoe Capital of the Philippines. 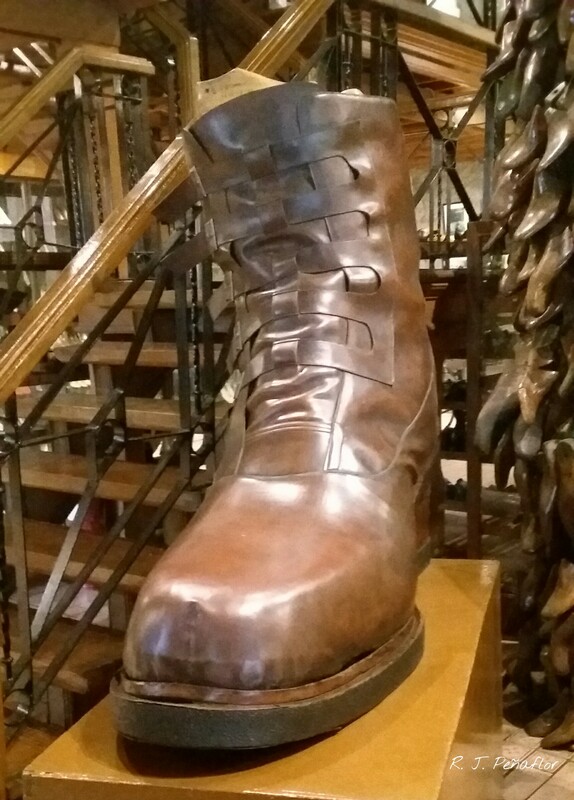 A little tour at their Shoe Museum would be recommended before you shop for your own pair. For only Php50, you would find a vast collection of footwear made by Marikina’s finest shoemakers. Most of them are owned by popular personalities in the Philippines. 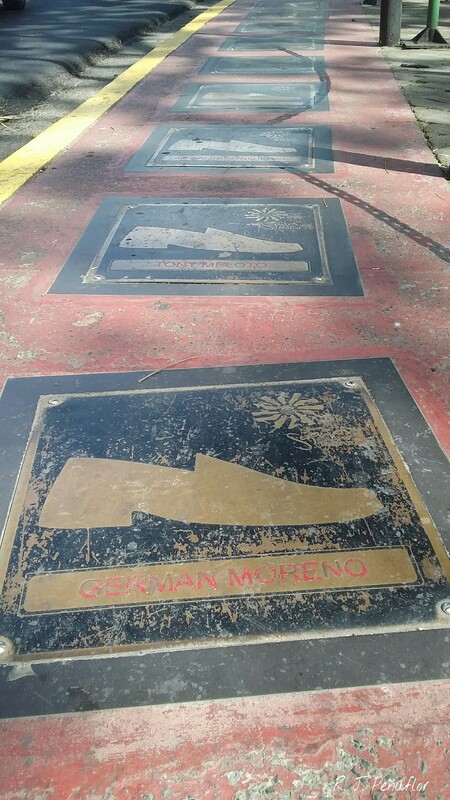 The shoe walk of fame outside the museum, most are named for big names in the entertainment industry. 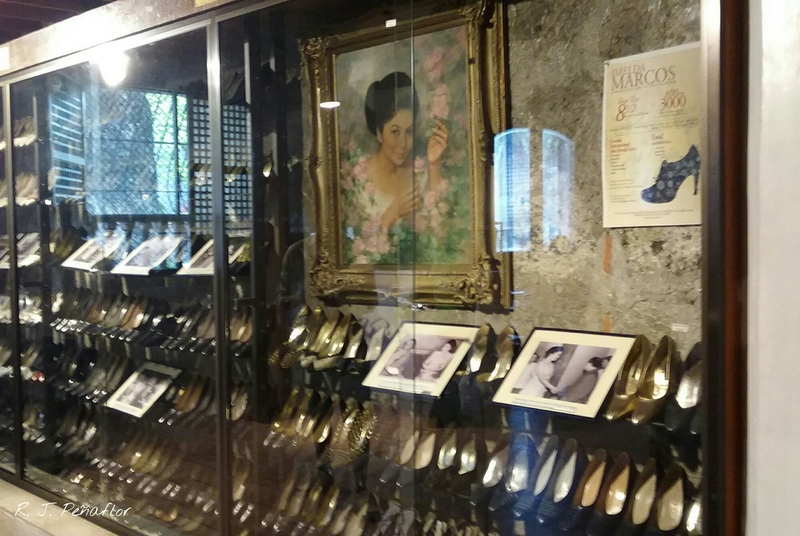 About 80 percent of the collection of shoes belong to Imelda Marcos, wife of former President Ferdinand Marcos and now a congresswoman for Ilocos Norte (ok, if she’s not familiar to you, think where the word ‘imeldific’ came from). Being one shoe-obsessed first lady, she had 3,000 pairs of shoes during her 20-year stint in Malacañang. Marikina shoemakers have provided her with 10 pairs a week, aside from the Gucci, Chanel, Charles Jourdan and Beltrami shoes she had in her collection. About 800 pairs were in the museum. 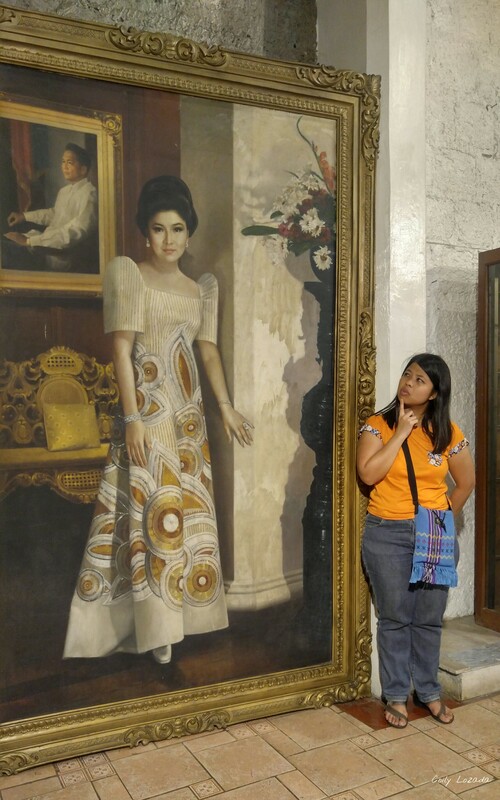 And they show that the size of her feet was at 8 ½.
I couldn’t remember how tall Imelda was because she would be flocked and mobbed by the media when I covered the president’s SONA as an unknown reporter at a small TV station. So, maybe this portrait would give me a clue. 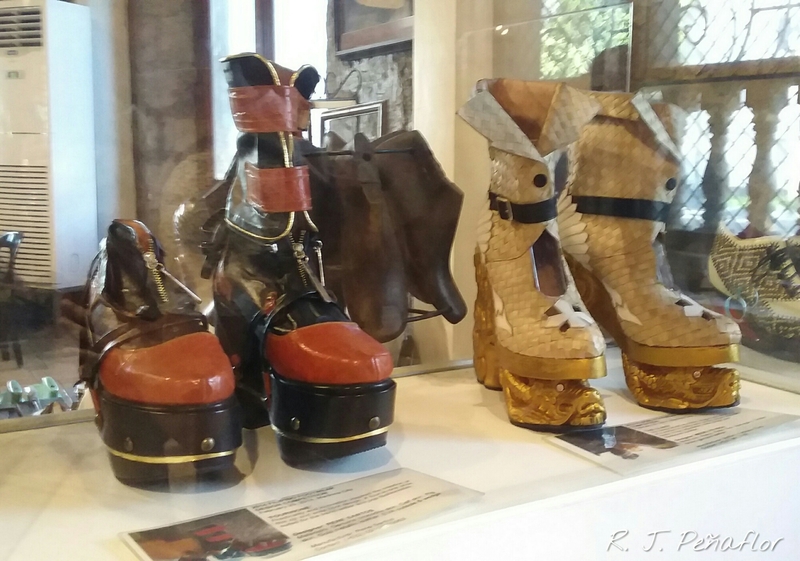 Small as it is, the Shoe Museum features more interesting pairs. 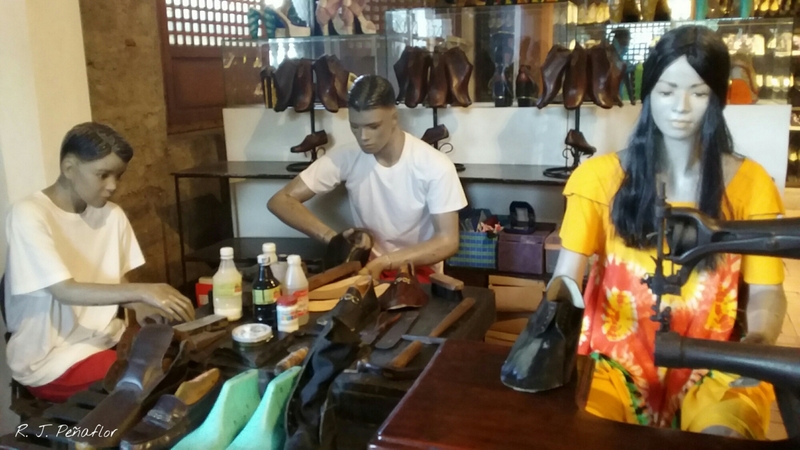 From fancy contest clogs to remodeled ancient footwear, these showcase the craftsmanship and the world-class quality of the Filipino sapatero (shoemaker). Shoes made for shoe design competitions. A set of recreated ancient footwear, proudly made in Marikina. 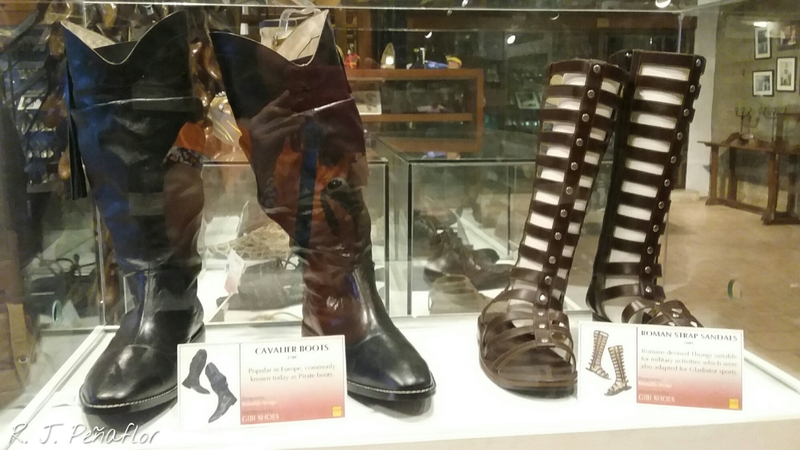 One is a pair of cavalier or pirate boots and the other is a pair of Roman strap sandals. 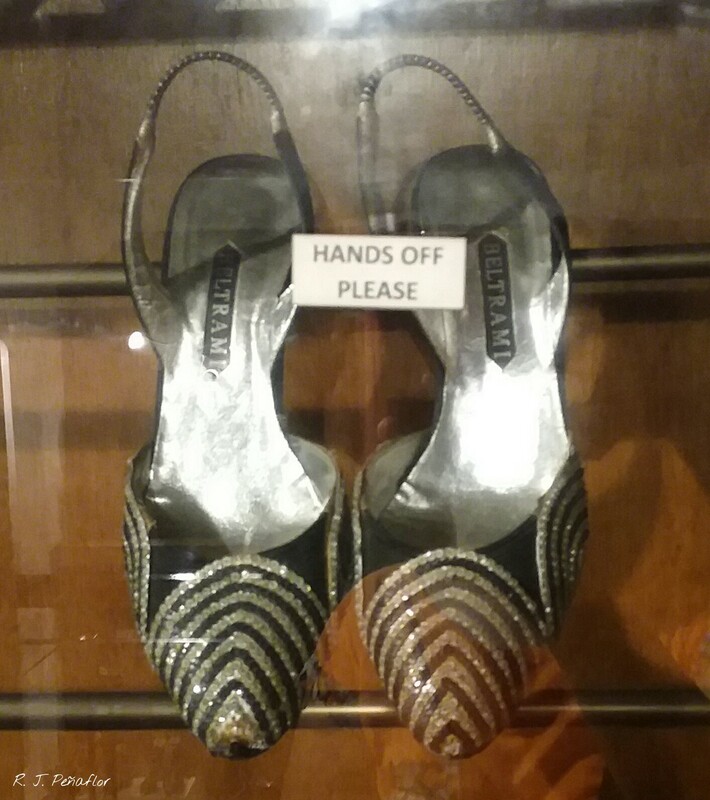 The museum also keeps shoe-like ornaments from around the world which were kept by Marikina mayors. 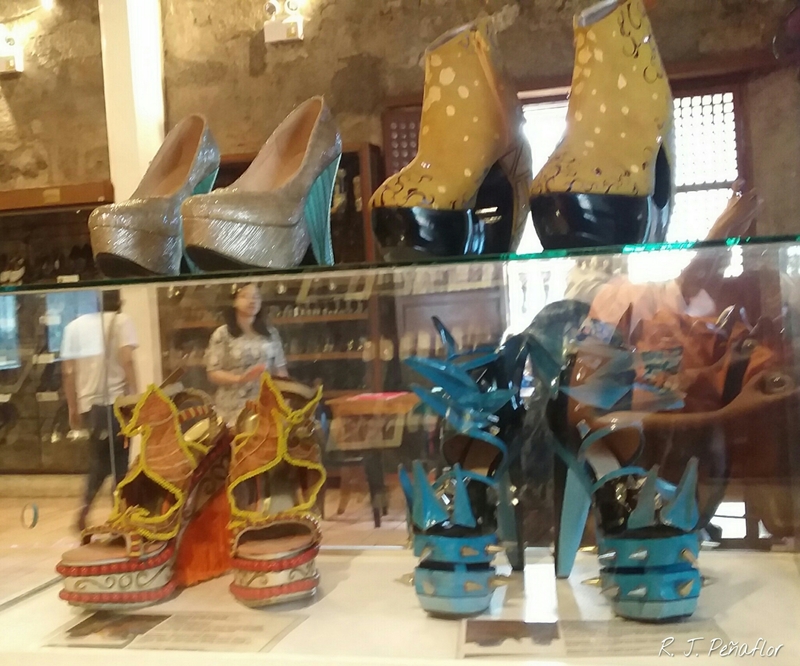 All in all, this museum highlights the skill and artistry of the Marikina shoemaker. It’s something that the city is proud of and I hope they can keep it for generations to come. A visit to the city would not be complete without walking around and around the Riverbanks. More on my next blog! I woke up to a very chilly morning as the van sped across the bucolic, quiet roads of Tarlac. Sunrise was already breaking through the dreamy fog that shrouded the seemigly endless, narrow road. Amidst the cheery laughter of the people in the van, I wanted to have more of that shut eye. I only had an hour of sleep after coming from an overnight work. But I have to tuck that comfty nap for a while because that long-awaited adventure at Mt. Pinatubo is about to begin. I had been longing to hike this dormant volcano that peacefully rests on the border of Tarlac and Zaambales. Though this tourist destination boasts of being a fun and friendly, chill hike, this mountain has carried a very violent past. Its 1991 eruption has been considered as one of the strongest in history, causing extensive damage around the area and affecting distant regions and countries. I could still remember my old nipa hut playhouse being covered in white ash days after that disaster. Still, beauty had risen from beneath those ashes. This was what I had been anticipating for this trip. We had to take a bumpy ride on a 4×4 truck before reaching the hike’s jump-off site. The vast, almost bare, but scenic, rocky terrain opened wide before us as our heads bobbed along the ride. Our tour guide told us how this place would be changed into a pseudo-war zone when Filipino and American soldiers train here for the annual Balikatan exercises. favorite shooting site for film and television productions. He reiterated countless stories of actors and actresses seen there, with him once taken as an extra for the shoot! There are no dense forests or elfen-like jungles but the green little hills and the carved valleys were enough to awe me as we tip-toed over the rocks from the beginning of the jump-off site. I believe this area can be a good geological study. However, this valley is slowly eroding because of the little streams that flow from the top of the mountain. One area even had a minor landslide as the soil had become loose. Groups of Aeta children waved and said hello to passing hikers. I find them amusing because they were making makeshift houses from any thing they can find. Our guide said their parents would work as guardians of the mountain. They are the ones who check out the weather conditions of the place as well as making sure whether the mountain is safe to climb or not. At the last leg of the trail was the original jump-off point. A sign told us the estimated time we can get there. Young adults, it said, can reach the summit in 18 minutes. But our tour guide warned us that’s not the case. rockier. The rocks were definitely a challenge to my two left feet. Still, this is the easier path, said our guide. The other that would come from Zambales is the more challenging trail. But I would not ask for that for now. Reaching the summit was a relief from the stone-filled pathway that almost zapped half of our energy. The rocky terrain was way behind us as we arrived at a well-developed garden-paradise that was draped with lovely landscape. The memory of the chaotic ash rain and molten fire brand that nearly destroyed the mountain was wiped away by the stunning blue green lake sitting at the very crater that now lazily yawns before the clear blue skies. 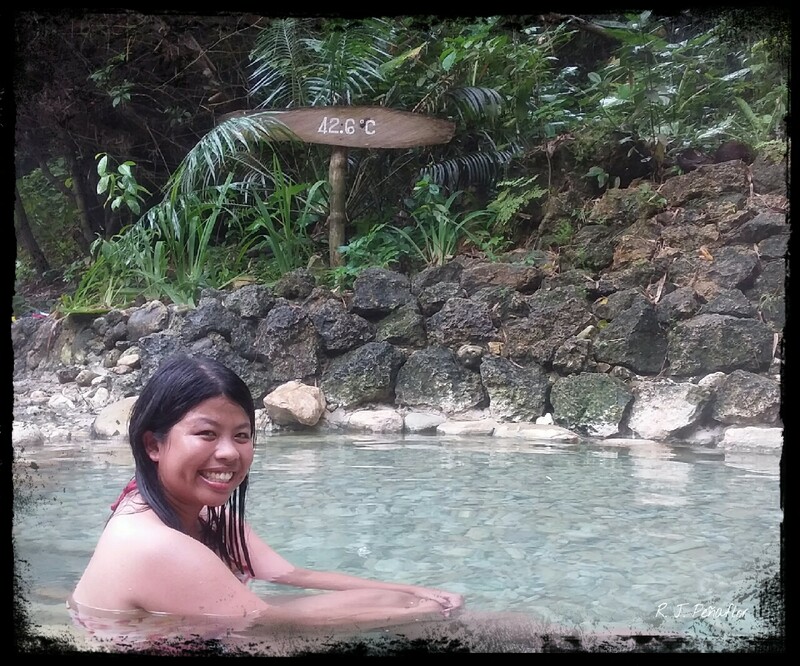 I curiously touched the waters and found out it was cold. But no one is allowed to dive into it because no lifeguard can save you from its deep abyss. For now, the steam from this volcano would go out at the other side of the mountain, our tour guide said. I breathed in the fresh air until the tranquility that fills the place lulled me back to the sleep I’ve been longing for that day. Mt. Pinatubo may release its rage again into another time and era, but at this moment, she lets her weary visitors rest at her bosom. 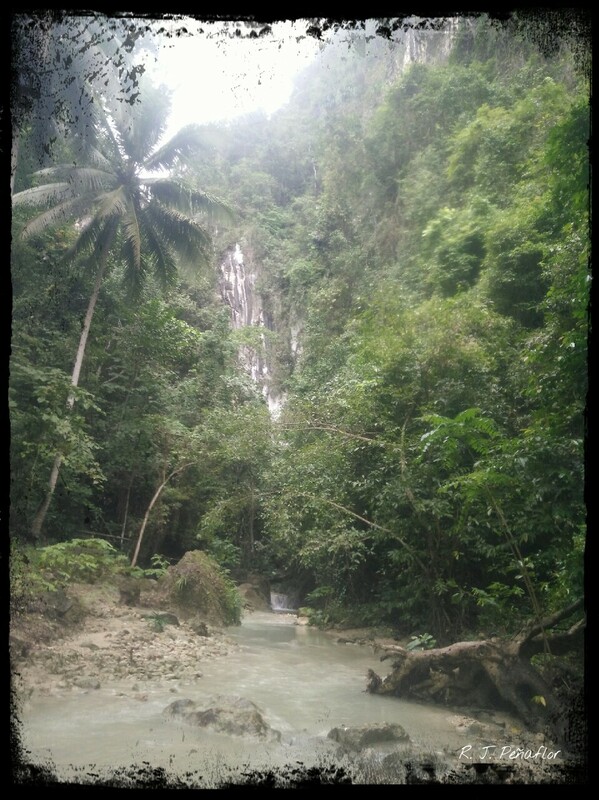 Since this was a two-hour trek, the group I’m with decided we take a side trip to the falls before we go back. But we had to scrape that plan at our descent because the rain was threatening to pour down. Should the rains be heavy, there’s the tendency that the stream waters may rise and make our journey more dangerous. We were leaving the site in our 4×4 trucks when the rains poured down. The ride back was even heart-stopping because there were times our dear, elderly driver would try to cross a higher plane where we had nearly fall sideways. The bumpy ride seemingly became even bumpier! Now, I guess this is where the adventure is, as it made my heart jump to my throat. The hike may not be as strenuous as the previous ones we’ve taken but it was a memorable one. Maybe because through its transformation, Mt. Pinatubo is a testimony that no dire or tragic history can ever overcome hope in this generation. The roads fresh from the New Year’s revelry the night before, this bored little lady headed away from the still smoky lowlands to the mist-covered highlands of Baguio. I was excited to get out of reality for a while in order to experience a real holiday vacation, even if it’s just so sudden. There were only two days and one night left for me in Baguio. All I just wanted was to go trekking with my closest friend from the far end of this country. But with the rains and fog covering the summit, my friend gave a few choice places to tour around. I chose all of them. For now, I can only share one popular tourist destination you can check out when you get to Baguio. I have been going to Baguio a number of times just like almost every local tourist in the country. But, I had to experience the BenCab museum yet. So, I’d rather not miss this itinerary that day. This art museum is flocked by tourists and art enthusiasts because of the man who set it up. Ben Cab, or short for Benedicto Cabrera, has been hailed as a national artist of the Philippines. He’s been considered as a world-class Filipino artist as his works have also became known in different countries. 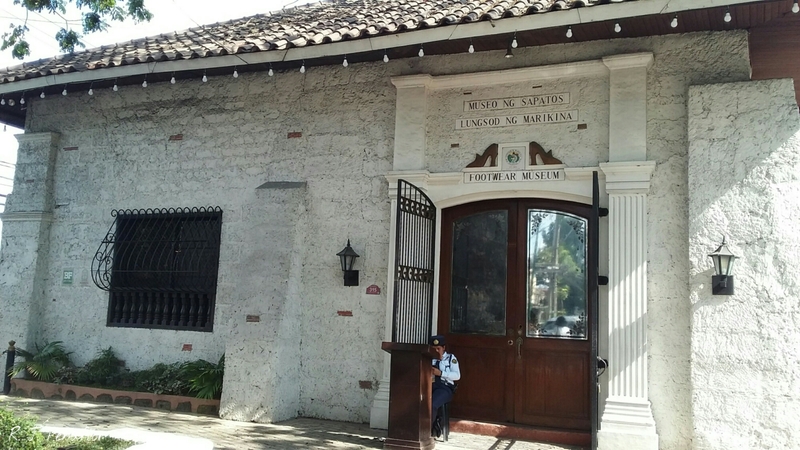 In support of other Filipino artists, he built this museum for everyone to enjoy Pinoy art. It takes a 15-minute taxi ride from Baguio City to get to this artist haven. Though located in an almost remote part of a word-carving village, it was crowded with tourists that day. Entrance was supposedly at P120, but it was not yet in effect. Instead, we paid the original price of twenty pesos less. “Tamis” by Emmanuel Garibay. If you’d look closer beneath the arms, you can guess where this painting is pointing at. It speaks of women and children used as private armies in places of conflict. Art can never stand alone without history. And history carries the spirit of art from the beginning of time. Bulol, or rice granary idols stood guard in some of the exhibition areas. 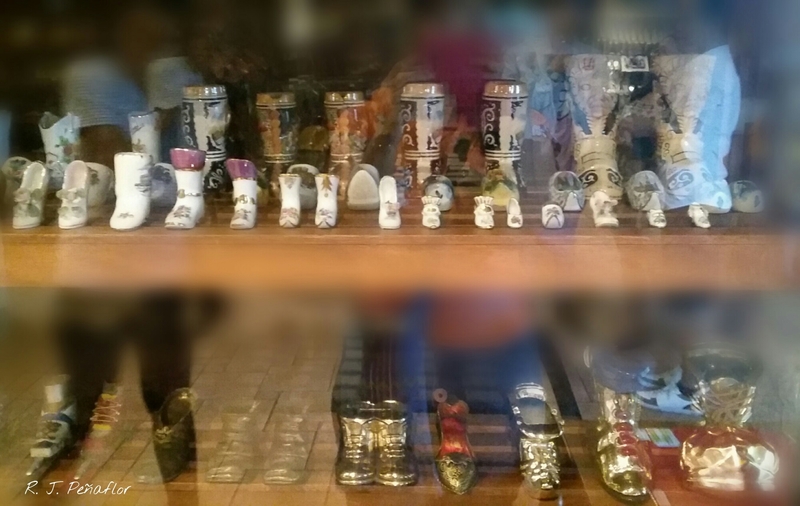 These carved images depicts the pagan culture of the Northern tribes of Luzon, especially in these areas of Benguet. This has been a common sight in this part of the country, but I guess tourists like me could only look and wonder at them. There is also the Erotica Gallery. I guess I don’t have to elaborate what kind of artworks you’d expect there. If you’re bringing along kids, I’d suggest you’d read the signs in every room you visit — unlike some the parents who wondered why they were offended at the artworks in this room. If you’re hungry (and had enough money for quite expensive food), you can visit the Cafe Sabel. But for thrifty tourists like me, I’d pass it for the moment. My friend and I roamed around a bit of BenCab’s little garden, which was made to look like a little prototype of Benguet’s rice fields and idyllic villages. We had limited access of the whole garden as the ecotrail tour needs to be arranged at the reception.